Summer time is margarita time. So as the weather starts to heat up, cool yourself with something cold, delicious and refreshing. This perfectly peachy cocktail from Martha Stewart is frosty and fabulous. 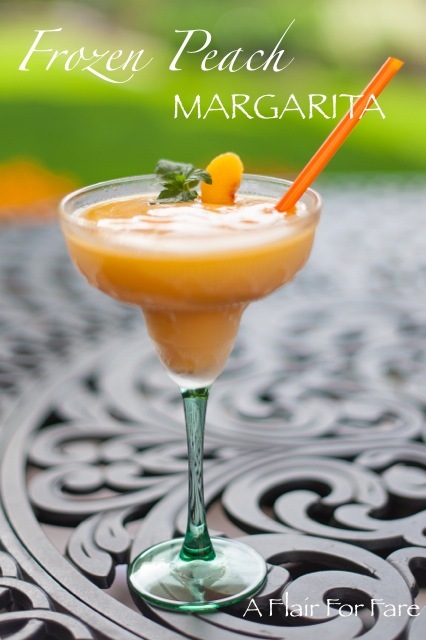 Puree frozen sliced peaches, tequila, triple sec, fresh lime juice, sugar, and ice cubes in a blender or Vita-Mix until smooth. Serve in your favorite margarita glass. Garnish with fresh mint and a peach slice if desired.